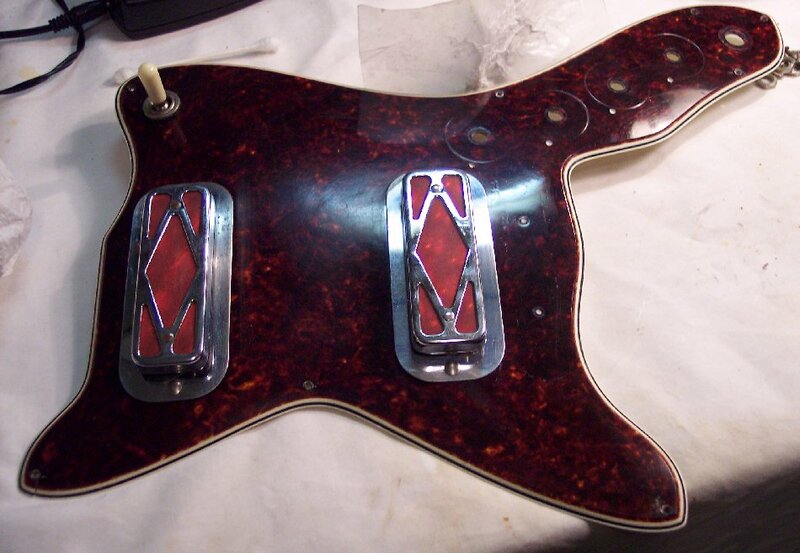 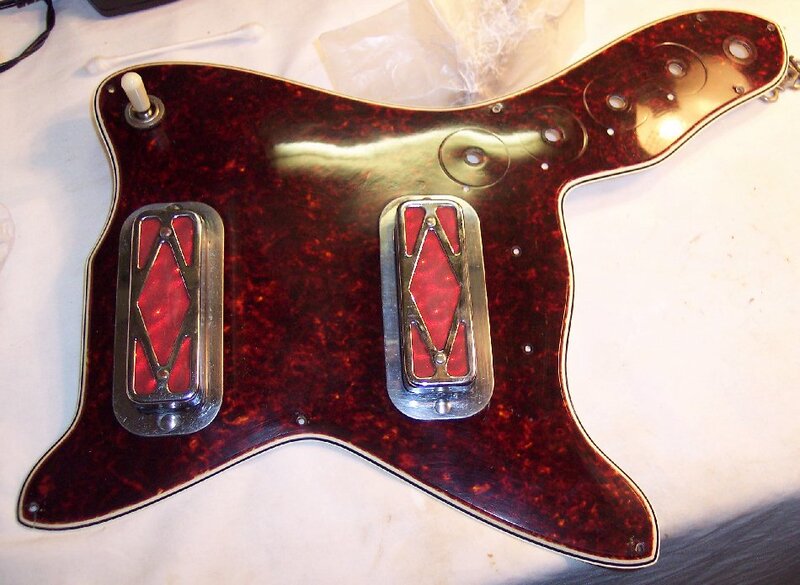 Shown on this page is the progressive results of about 7 hours of hand rubbing the pickguard. 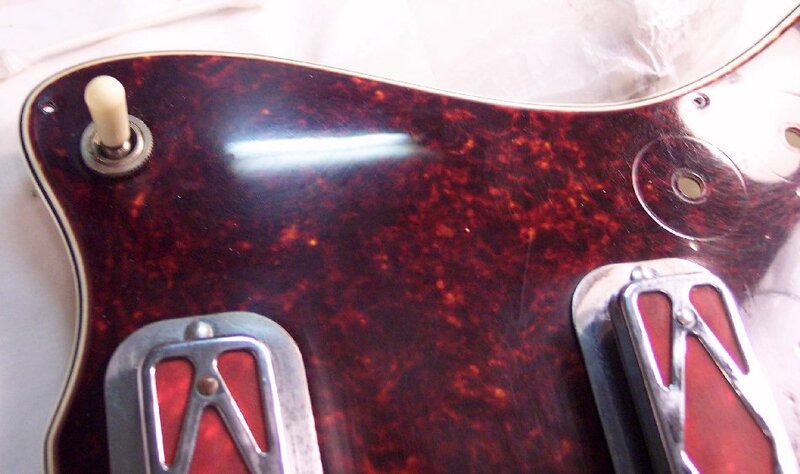 Again, the sheen of compound polishing vs unpolished "cloudiness" is quite apparant. 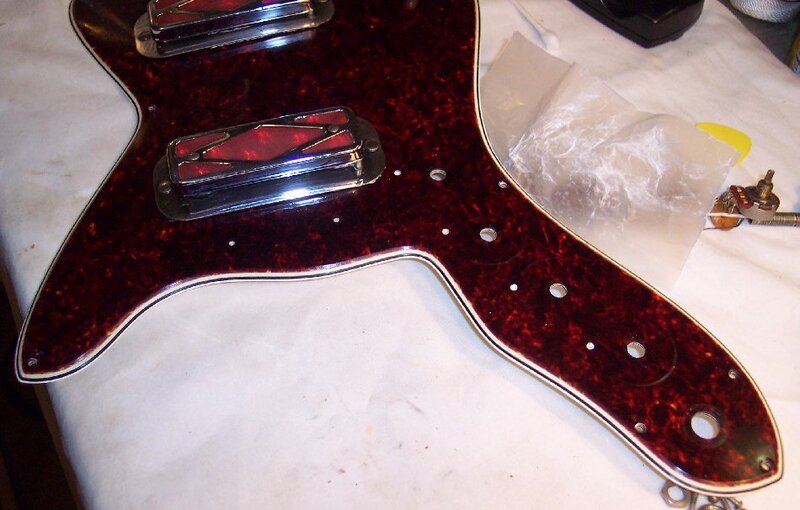 The sides and bottom plates of the pickups are also polished with the compound as they are worked around. 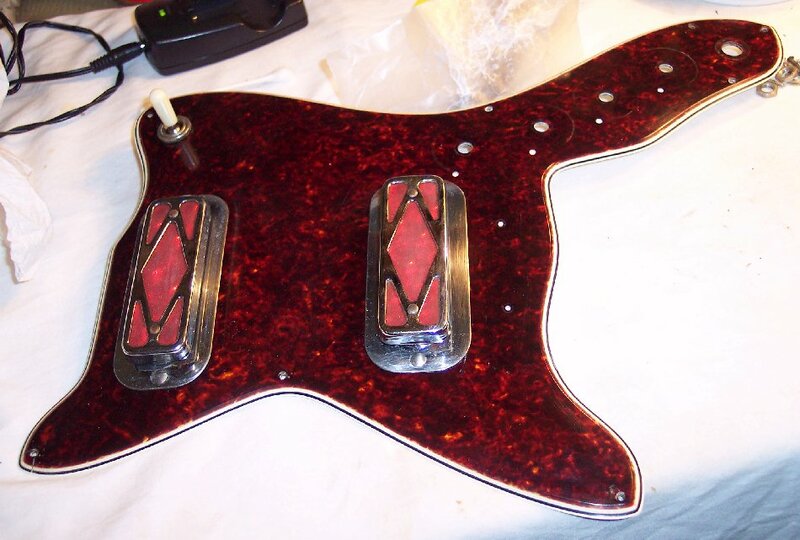 I WOULD NOT DARE TOUCH THE FINELY ETCHED PLASTIC HOLOGRAM INSERTS ....NOR THE CHROME AROUND THEM EXCEPT FOR CAREFULLY WIPING THE CHROME WITH ACE LUB-E MISTED Q-TIPS ONCE THE GUITAR IS ASSEMBLED, ....MAKING SURE THAT NO CHEMICAL AT ALL TOUCHES THE HOLOGRAMS !